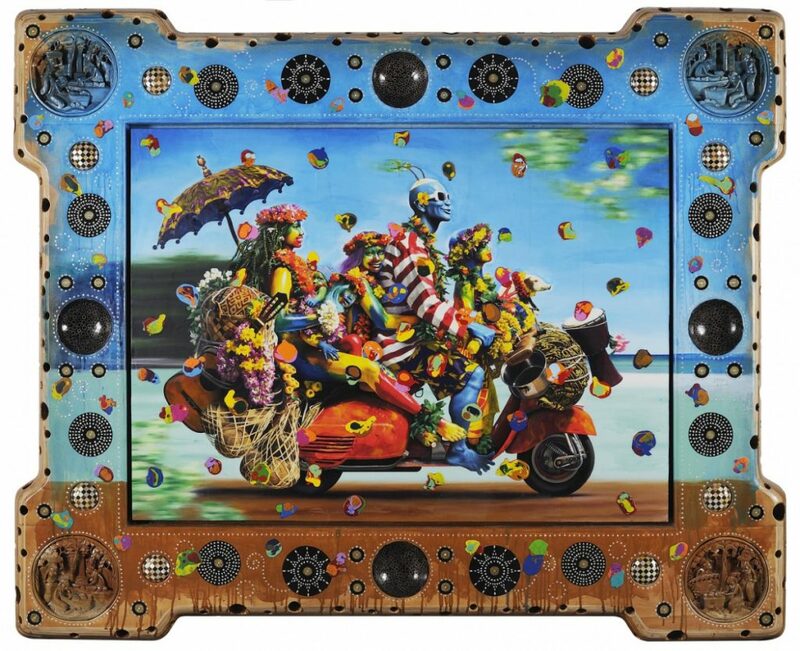 Ashley Bickerton in Conversation with Emily Nathan, May 17, 2011. 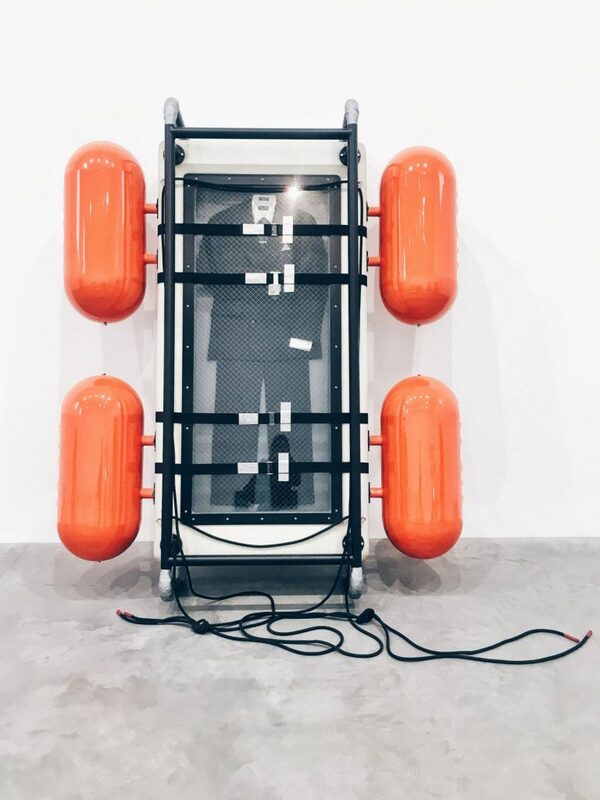 It’s not easy to like Ashley Bickerton’s work. From the start he’s taken on the art and culture of our fin de siècle much like Goya, Daumier, Hogarth and Grosz did in their times. Ashley’s works are acerbic, filled with Baroque imagery and over the top visual excess. It would be easy to stand back and take pot shots, but he doesn’t spare himself this critique. From his 80s and 90s portrait boxes customized with the logos and images of NeoLiberal consumer products right up to the ridiculous 21st Century blue man artist in a Westernized island “paradise” Bickerton makes sure to show us that he too is complicit. I can’t help myself. I’m fascinated. “Working in an increasingly figurative and self-reflective mode, the artist used himself, his family, fellow expats, and prostitutes as models for hyper-realistic paintings, which depicted an increasingly acerbic view of humanity. Bickerton parodied do-gooding society types, contrived and idealized self and family portraiture, western fantasies of island expat life, and the mythological role of the artist. This led to the creation of bizarre, composite alter egos, such as Blue Man and Snake-Headed Man, as well as a tongue-in-cheek version of himself in the likeness of Paul Gauguin. In seeking further freedom to create his maximalist compositions, Bickerton began staging elaborate sets, painting directly onto people and objects that he would photograph and digitally alter. Local, artisinally-crafted frames, inlaid with mother of pearl and hand-carved coconut shells, complete these complex satires.” Flag Foundation Press Release for Bickerton Retrospective, September 2017.